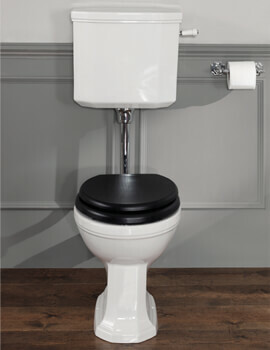 For a heightened bathroom, this imposing WC Pan with Cistern from the Empire range of Silverdale, is the perfect choice. 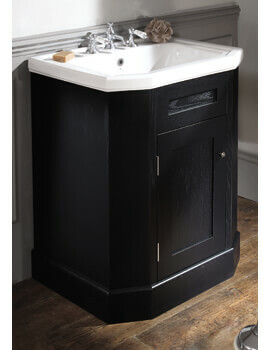 You will be swept off your feet when see this piece of aqua art standing tall in your bathroom. 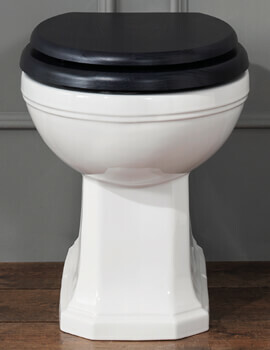 This WC pan derives its strength from the durable fine quality English china clay construction, and you can be assured that it will satisfyingly last for many years. 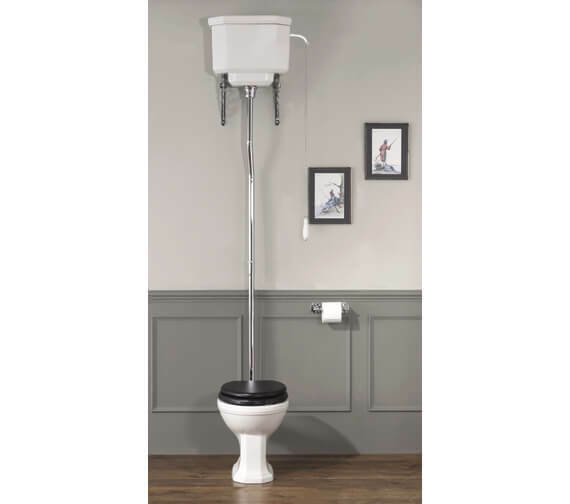 While you will keep on enjoying the radiance of the sparkling finish, the lifetime manufacturer guarantee on this WC pan with cistern will also reassure you, and the pull chain is adorned with the striking blue Silverdale logo. 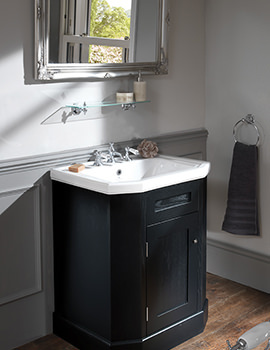 Silverdale provides lifetime guarantee against any manufacturing faults. 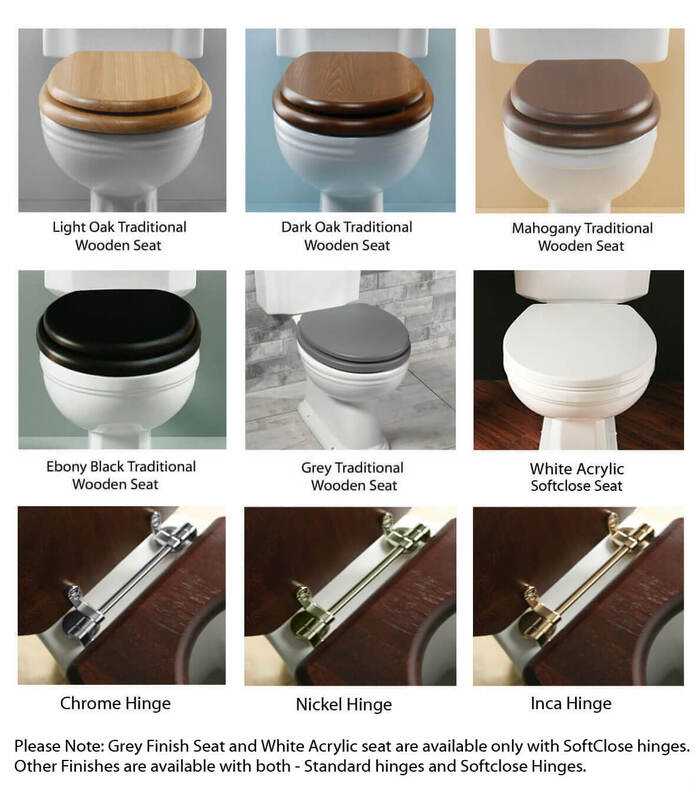 Silverdale empire sistern with fittings available in diffrent finishes and also available with Silverdale logo and without Silverdale logo. Note : Image is for illustration purpose only. The water inlet is on the right hand side of the cistern. If it’s not possible to chase the pipe into the wall it would be visible. Depending on the situation it might be possible to chase the pipe into the adjacent wall to the right of the cistern up to the height required then run the pipe horizontally to the cistern inlet? Another possibility would be to run the pipe through the ceiling above the cistern. If none of the above will work in this case then the alternative would be a low level cistern and pan. The water inlet is at the bottom of the cistern so surface run pipework will be much less obvious. What length can we shorten the pipe to reduce overall height? 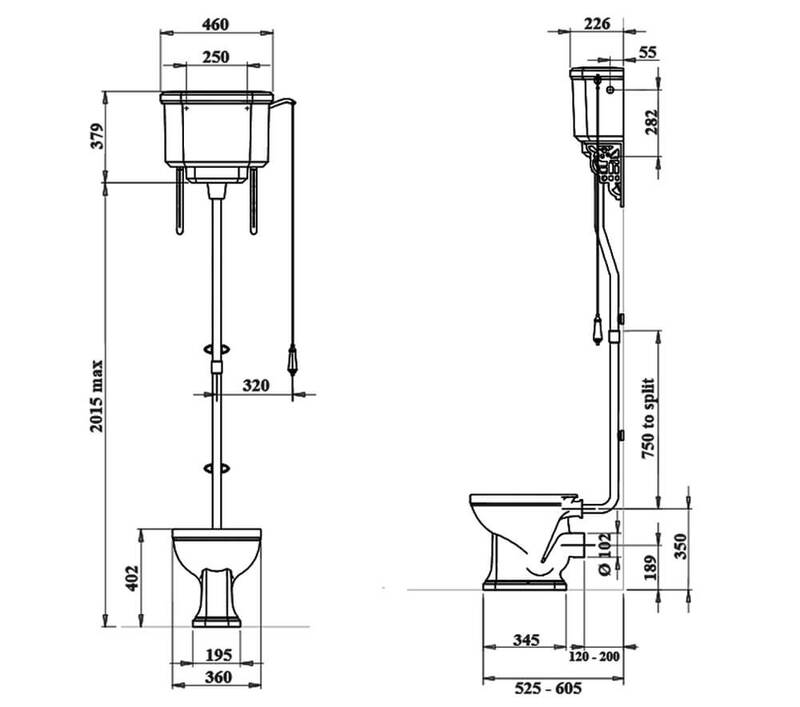 The bottom end of the top pipe can be cut down by as much as is needed, but there may be a slight loss of performance in the flushing efficiency, due to the water not coming out into the pan with as much force. The pipework on a low-level suite is 38mm o.d. (rather than 35mm o.d. on the high level), so overcomes this problem. This probably won't be noticeable if the customer's taking off only a few inches.